But Windows 8 provides lots of new features along with a newly designed interface. 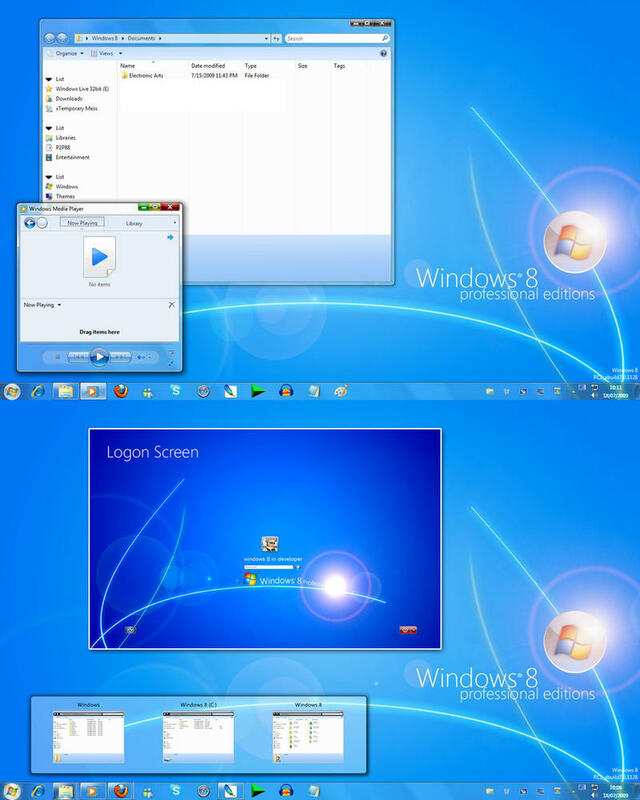 It looks very similar to Windows Vista and Windows 7(Great combination) but there are many GUI changes like redesigned taskbar, Explorer, new boot screen and login screen, etc. Cite this article as: Abhishek Ghosh, "Windows 8 Professional Edition," in The Customize Windows, November 9, 2010, April 25, 2019, https://thecustomizewindows.com/2010/11/windows-8-professional-edition/.